Welcome to Poetry Friday. 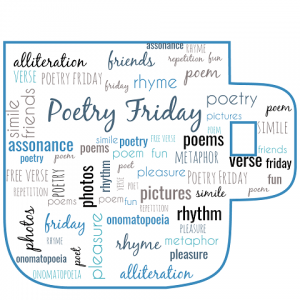 I am really excited (and also slightly nervous) because, for the first time ever, I am hosting the Poetry Friday round up here on my blog. What does that mean? It means that other poetry enthusiasts from around the blogosphere will drop in here over the course of today and leave their links at the end of this post. You can then click through on each link and see ALL the poetry goodness on offer. I mentioned being nervous about hosting (because I do like to do things right, and this is, as I said, my first time). I was also pretty nervous earlier this week, because I had to go to the dentist and get started on a root canal, something I had not been looking forward to, but which was necessary to get me out of the pain I was in. The dentist was lovely, and tried hard to keep me calm and as comfortable as was possible while he was needling and drilling and prodding and whatever else he was doing. Me? I decided I would keep my mind busy with thoughts of anything other than what was happening in my mouth. Maybe I could count backwards from a hundred? Nope. I kept losing count. Maybe I could recite a poem in my head? Nope. My mind was blank. Maybe I could make up a poem? Noooope. Actually, yes! But it would have to be a short one. Haiku? Limerick? Ooooh. I had it! Terse Verse. Seemed to match both my mood (definitely terse) and the length of my concentration. My mind got very busy very quickly and, before I knew it I had ideas filling my mind (oooh, there’s a dental play on words), and had (almost) forgotten what the dentist was doing to me. Goes to show you can write poetry about anything, anywhere. There is a form for every occasion, too. Have you ever tried to write terse verse? Would love to see what you come up with. 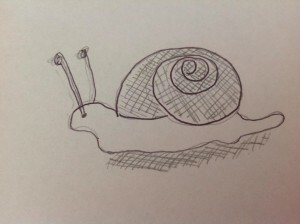 In the meantime, if you have a poetry post please share it in the Mr Linky below, and, whether you do or not, click through to see what my Poetry Friday friends are up to. Terse Verse! That is a new one to me, Sally 🙂 I will give it a try very soon! Yours definitely made me giggle. I’ve had a root canal, and they are no fun! A Terse Verse would have come in handy when I had an MRI many years ago. Now THAT was not a fun experience for me. Thank you for hosting and making me smile. Thanks Dani. MRIs don’t look any fun at all. I’d need a million terse verses to get through that I suspect. Sorry to hear about your root canal, but I love how you found the humor in the situation. I always mentally transport myself to the beach when I have dental work. Thank you for hosting today, and good luck at your next dentist appointment. Looking forward to reading more terse verse! Thanks for visiting Catherine. the beach is one of my go-tos too. It’ll Be Just A Few More Minutes, Will You Be Okay? Loved your terse verses; and thanks for hosting the roundup! Thanks Michelle. Seems there were a few us at the dentist this week! Sally, I have had some crazy medical issues lately so I apologize for being so late to the Poetry Friday party. Implant surgery last week followed sinusitis this week left me foggy-brained. My blog site was also giving me some trouble but here I am now and just happy being part of the roundup. Both of your terse verse poems are great-from snarky to peppy! Thank you for hosting and for sharing your fun terse verse! I love that you were able to do this as you waited for something difficult. It’s inspiring and a good lesson for all of us! Tough stuff. Thanks Amy. Aren’t we lucky to have creative juices to distract us? What fun! I haven’t written much terse verse, though I may now have to resurrect an old project that employed it. Hmmm…Thanks for that, and sorry to hear about your root canal. And thanks for hosting! Thanks Laura. I look forward to seeing your terse verse in the future. I can sympathize. I’ve had more than one root canal! At Wild Rose Reader, I’ve posted one of the poems from my book THINGS TO DO. I also have announcement about a prestigious award that I received for this book. Thanks for dropping in Elaine. I look forward to hearing your good news! I spent time in the dentist chair this week too. Never fun, especially when he’s tearing up a crown that needs to be replaced. I love your terse verse and may have to share it with him, since I’m headed back there for the real crown soon. Good luck with the crown replacement. there is a crown in my near future too, once the other work is finished. Blergh. I love it! Thanks Joyce. Thanks – and thank you for dropping by. These are too much fun! I will be sharing them with my brother, who just happens to be a dentist. Thanks for hosting us all today! Isn’t it fun? Funny, Kay. I hope he gets a smile out of it. As a total dentist-phobic, I can’t believe you were clever enough (or together enough) to write poetry during a root canal! Pretty darn impressive! I’m going to think of you the next time I have to crawl into the dentist’s chair! Thanks for hosting! Ooooh! Ouch! I had a root canal around Thanksgiving. It all went fairly well. The bill, unfortunately, hurt, too. I hope your tooth is healing. Thanks for hosting. Oh, Sally! This is winning at hosting. Good job, you. 😀 Your collection of terse verse brings big toothy smiles. I admire your ability to turn an unpleasant experience into a source of inspiration! I don’t think I’d have the presence of mind to be crafting poetry while squirming in the dentist’s chair! Thanks Jane. It’s amazing where inspiration can come from, isn’t it? Tooth sleuth! I love it. Thanks for visiting, Matt. Well, I’m impressed, Sally! I can just picture you juggling all those words in your head for who knows how long, until you could write them down. (Is terse verse still terse if you’re trying to remember half a dozen in your head at one time?) Thanks for taking the plunge and hosting today! Sally, these are so much fun! I especially liked “Mmmmfff grmmmmmf.” I like terse verse because they can read a lot like a riddle or a joke. I wrote a few for my creepy October poetry project last year. I think my favorite was: What do you call fermented arachnid guts? Spider Cider Thanks for hosting the roundup! Love it Rebecca. thanks for sharing. That is a funny form, and you found the icing for the cake! Thanks for hosting, and I hope your recovery is quick. You need to be out there swimming for those of us suffering from winter! Thanks Brenda. I managed a good swim this morning and am due to do a long one on Sunday. Thanks Alan. It’s a fun form. I think my dentist intentionally hires chatty and curious hygienists–a cleaning is one continuous “Mmmmfff” on my end! Wishing you a quick and painless next visit at the dentist! Thanks Diane. Yes, you gotta wonder about the chatty thing. I think it’s supposed to make us relax, but I find it a bit frustrating to not be able to answer articulately. Thanks for the smile Tabatha, and for visiting, of course. Oh, Sally, sorry about the root canal, but love that you made it into “rhyme time”! I’ve had one and remember wondering how he could stand & bend over so long. Thanks for hosting this PF before Valentine’s Day! Thanks Linda. Yes, dentists must have strong necks and legs. Thanks for hosting! I’ve had a few root canals…no fun! And you have to go back! ARGHHH! But lookie there. You made not lemonade, but POETRY from your lemons!! I love your terse verse! What a riot! As someone who struggles to title poems, I think this would be an interesting challenge. I bet my students would thoroughly enjoy this form, and I’d love to share your examples to use as mentors later this spring. Thanks for hosting! Feel free, Molly. I’d love to see how you go with it. What fun — this is the first I’ve heard of terse verse. 🙂 I don’t envy your root canal, but am impressed with your positive attitude and sense of humor. Thanks for the great welcome and for hosting this week!! Thanks for dropping by, Jama. Terse verse is fun, and so is hosting. First, thanks for hosting. You’ve done a beautiful job of welcoming everyone and adding your own funny post….filled…with ideas. I’m sorry it took a root canal fo find your terse verse connection. This week I’m sharing a walkthrough of a middle school lesson involving a poem with students learning to speak English while taking American History. It was a fun and successful lesson for the kids, me and the classroom teacher. Thanks for visiting, Linda. I look forward to reading your post. Thanks Robyn. I always wonder at dentists themselves: what makes someone choose a career where everyone is scared of them?